As a guy who is battling depression and anxiety . I had given up , as i thought the world had given up on me. I could not function properly , i was a wreck and a disaster waiting to happen . I went on stress leave for 5 weeks late last yr . i listen and took in what my GP and Physiologist were saying ... i built a bridge with help and survived . tTo cut a long story short , dont walk away from your mates when they need you the most . just friendly banter is so under rated . Its good that you are prepared to speak openly about your depression and thanks for sharing. It's terrible problem and I've had work colleagues who have suffered badly, and even taken their own lives. Part of the management seems to be the presence of supportive family, understanding friends with whom you can discuss your depression, and taking part activities that you love and give you purpose. For me, riding the long hauls solo gives me the headspace (helmet time) I often crave and need. To other OzSTOC members, never neglect to ask "R U OK" if someone seems to be struggling. I do have some mild depression and more than likely from being out of work for so long (just over 7 years) and all the related job search issues these days plus chronic lower back pain. Doc put me a low dose of anti depressants which did help. Not bad enough for a mental health issue and physical disability for a pension at the moment even though the lower spine is gradually getting worse. Not to bad this year having gone into some volunteer work which has taken a lot of the stress away from applying for work you know you won't get. Getting the casual grain harvest work on the weighbridge with Viterra for the last two seasons as also helped a lot and I'm looking forward to the next one. Thanks four the open and honest sharing. 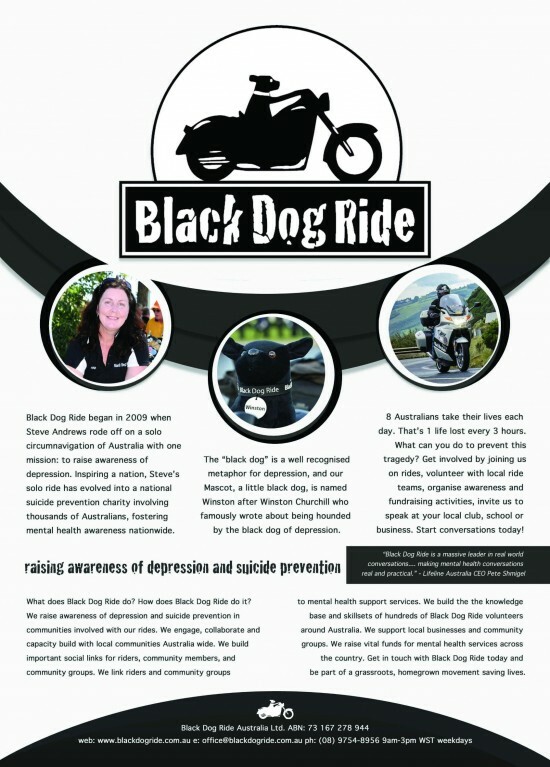 I've lost a couple of friends to the Black Dog, which is why I'm a supporter of the Black Dog Ride. A friend of mine recommends the local Men's Shed. You're not alone in dealing with this. It's great you feel secure enough to post about your struggle. Have dealt with my own struggles, got through with friends, meds & a good psychologist. I much prefered that outcome than seeing workmates & neighbours take their lives. And a good bike keeps me in a good place. If nothing else, the group here is extremely supportive, and forgive a lot of transgressions. If you need to talk, and dont want to place your comments in the general public forums, then please feel free to contact any of the Admin, we are here to help. I forgot to add that I was surprised when the doc told me that I even had depression when I thought was just going through a little extra stress. So it's something anyone can have and may not realise it they have. Thanks Garry, maybe a simple post like this might help another. My psychiatrist told me to do something I really enjoyed to take my mind off my issues. So with the bosses (wife) approval I headed off every day for 2 weeks . Problem nearly completely solved. The support I received was so beneficial to my cause. Keep positive and there is a light at the end of the tunnel no matter how far away it seems. I headed off every day for 2 weeks . I do believe its time for me to move on . Thanks for all the people here who engaged in conversation with me . Thanks for letting us know BG, as seasons in our lives come and go. RUOK and is there any support we can offer? You can always pop in for a chat, we even talk to Hhharley riders some times. Using Shock to raise awareness into this hideous illness , which myself and many others suffer from . To many people take their own lives as they see no end to the downward spiral . For me its overcomes my life and i question my worth every moment with a fake smile . But i can talk about it , i just want to help other people battle the Black Dog . Goodonya GB for talking about your journey with depression, as many who suffer hold on to it and suffer in private. I've had many work colleagues who suffered badly over the years, and investigated too many who took their own lives as they could see no other way. Years ago I spent time with Steve Andrews, and rode with him for a time on his original Black Dog Ride. We had some great conversations about depression and the ripple effect that it has on the lives of those who love and care for the folk who are suffering. Take Care and seek strength and endurance from those around you, and from your sources of spiritual strength. I've had battles with Black Dogs for years, found at suicide I even failed x2, many many kilometres ago. I lost my main support recently, Ironic that it was in itself a huge Black Dog, Kimba, her even over motorcycles has been my reason to put up with Drs, treatments, being knocked down by government bureaucracy, Insurance rip-off for policies that they fight over paying out, my childhood abuse by those entrusted to look after me, I could write a book. After 15 yrs of Kimba's companionship I have to fight off the 'other' Black Dog constantly entering my thoughts. My way of coping now will solely depend riding, day or night, wet or dry, I'm just not keen in the heat . I don't have a reason to go home now. I have some $$ to go further afield and when I have the coffin back together and working I'll be riding faster than any Black Dog can run. OzSTOC has been a huge support for myself and a few others I've talked with and helps all who ride with removing the proverbial finger and getting out of our minds, our home (prisons for some) and engaging in our society. I have learnt through my rather colourful life to first identify my depression before its grip and change my mindset, clear out the cobwebs and sit on the bike for lo oo ng hours, helmet open so the wind dries my tears, often, and hope to arrive someplace appearing to all a sane and sensible me. I'm not one to keep much in silence when with friends as most will know. just hope they don't send the van,.. my madness and depression are different.. Anyone reading this that wants someone to talk to, I'll answer my phone to a call 24/7 RING me, maybe I can help you teach your BlackDog to sit and stay and then roll over for a belly rub... maybe it will bite me instead..
No need to be sorry, in the Ulysses branch that I attend, there are several members who suffer from depression, and are passionate about support. As a group,Ozstoc is here to support its members, not only with bike problems. There have been quite a few members with all sorts of medical issues, and no-one gets poo pooed if they bring it up and talk about it. If you want ny number, drop me a message and I will reply. I've found motorcycles, particularly the Honda variety to be be far more effective medication than any prescription drug. That and supportive friends and family. Having experienced a crash victim dieing in my hands last year, and then her husband, who I also treated, dieing later, a reoccurrence was a real issue with me. Real friends are the ones who support you through the tough times, even when you didn't know they existed. Gaz, you have a lot of friends here, just as I, JohnnyYTED, Stinky Pete, Kev, etc have all come to know. I've suffered it on and off throughout my life since my terms, and unfortunately, lost some friends to the Black Dog, so I'm a great supporter of the Black Dog Ride with a couple of Winston's at home. Helmet time and corner therapy have been great for me. Now with 2 Adult children, a lovely wife, and 2 Grand-daughters, I'm finding so much more to live for. It doesn't stop the occasional niggle, but helps the refocus. When I get my Spyder, I'll be doing BDRs again. Gaz, to say I'm upset by your Facebook comment to me would be an understatement. I have lived with the black dog for many years, as have a few of us. Your comments caused many of us concern. To many of us, such a message has a meaning beyond 'stunt'. Have seen too many buried or in hospital because of depression. That said, should you need to talk at anytime, pm me with your number & I'm happy to talk with you. I case your ignorance Shillas has blinded you mate , your comment offended me and brought me down to a new all time low . If that what you was after , congrats job done . I f you or the many you talk about had a hinkleing on what i have been through , you would not reply with such crap . enough said by me . With all due respect I think Shillas makes a valid point. If that makes me a sheep in your eyes then so be it. come on guys, many of us have had trauma, in all forms and our own lives are very different. Facebook comments like 'Go Farkle you bum', not a quote, gave me a WTF moment. I shook me head at the intinial impact, It sure hit home for a second, I'm over it. 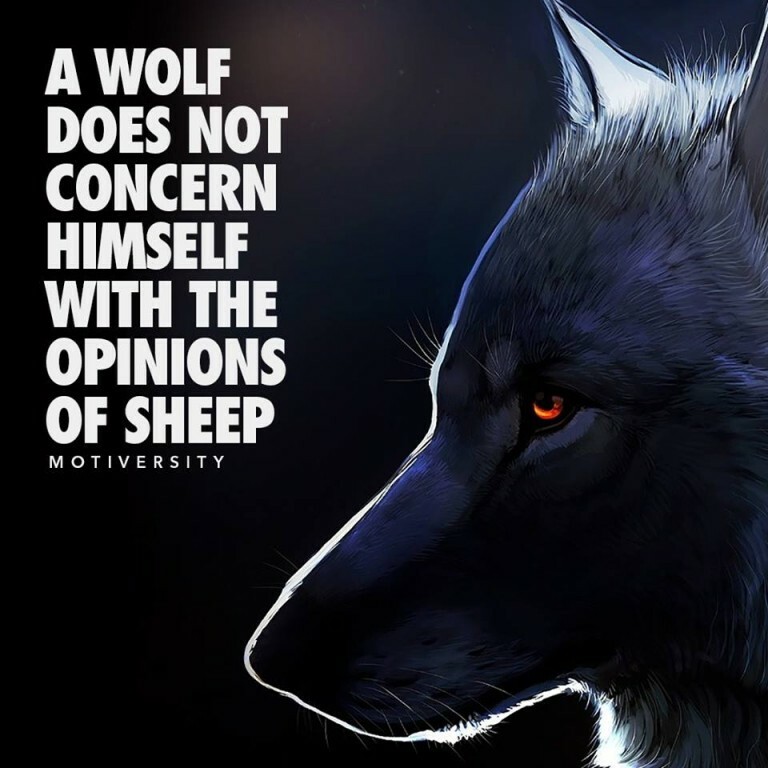 The Black Dog isn't supposed to bite when we are promoting support for the depression many suffer, so lets try and keep it cool, friendly both here and on the Facebook page. Maybe in Tasmania at the Rally we could have an initiative to start a sub group section to help our family here to help each other out in times of despair.